I was recently in the & Other Stories store and I bought these nail polishes .& Other stories is a recently opened store in London that is owned by the same company as H & M and Cos. The shop has been compared to the price tag of H &M and the quality as Cos. When I was in the store I spent quite a considerable amount of time in their beauty area. I found that they were very into letting the customers try and experience the product before purchasing the beauty product that was right for you. 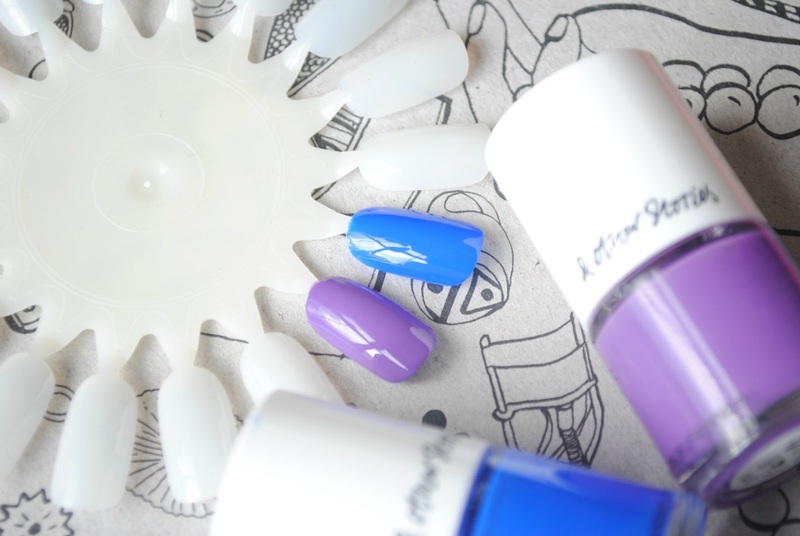 All of the nail polishes were tested on lolly pop sticks so you could see exactly what colour you would wish to purchase. The nail polishes were £5 each and their finish and wear is amazing. There is some really pretty colours but I choose "Twill Blue" and "Cambric".